Candy. 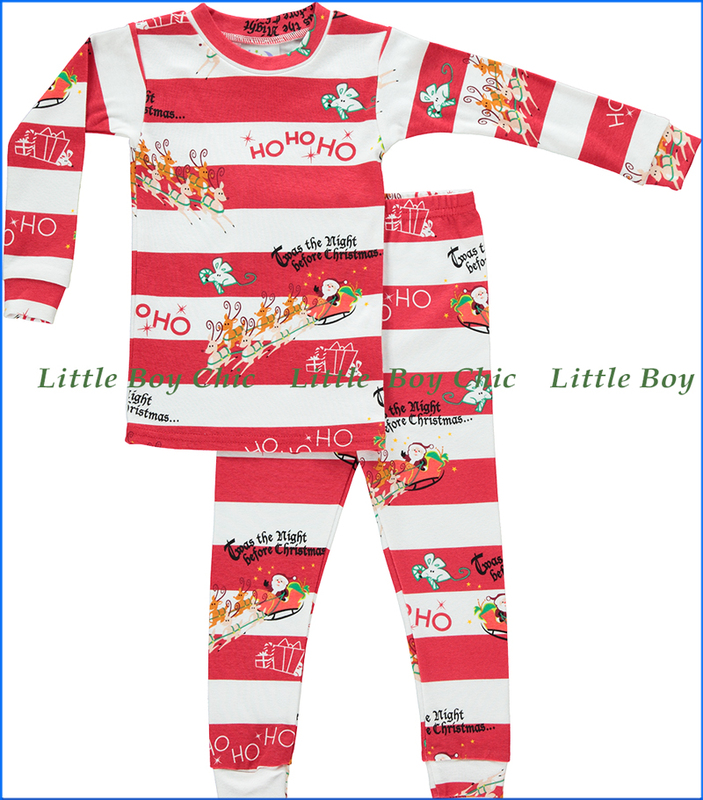 cane stripes scream Christmas to us, and you'll love seeing him in this cozy and festive PJ set! The perfect set to bring the season in to sleep time. Wear snug fitting. Not flame resistant.